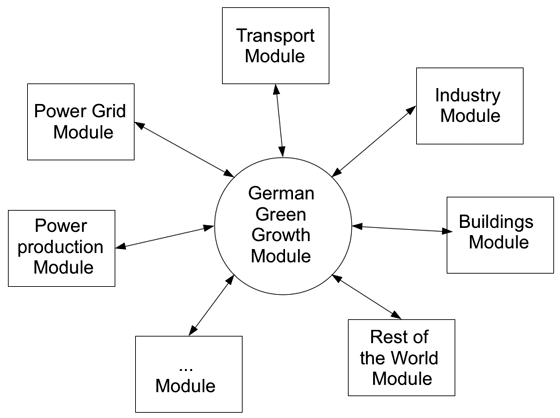 The German Green Growth Model project (Bewertungsmodul Klimapolitik, Förderkennzeichen 03KSE041, May 2012 – December 2014) develops a module for assessing costs and benefits of German energy and climate policy measures in a macro-economic context. Based on a dialogue with experts and potential users, the module is designed in such a way that it can complement existing detailed models of specific sectors. It will be available as open source software and via the representation of multiple equilibria it will allow to identify win-win strategies for climate policy. Many people believe that effective climate policy measures necessarily come with net costs in the short run. However, recent studies have shown that climate policy can create win-win opportunities, meaning that mitigation measures can be beneficial not only by avoiding longer-term climate damages but also by triggering more immediate economic improvements. The study “A New Growth Path for Europe”, which analyses effects of moving the EU emission reduction target by 2020 from 20% to 30% as compared to 1990 levels, finds that a virtuous cycle of feedback effects between investment, learning-by-doing and the expectations of investors can steer the European economy onto a new growth path with lower emissions but higher employment and growth. The micro-costs for mitigation measures, such as increased energy prices due to emission trading, can be more than compensated by the macro-benefits of this path. Assessing climate policy measures (e.g. conducting cost-benefit analyses) poses the challenge to identify such win-win strategies. This requires models that are able to represent a shift to a new growth path. In Germany as elsewhere there is a wide spectrum of detailed bottom-up models focused on specific sectors – transport, energy, buildings, industry, etc. 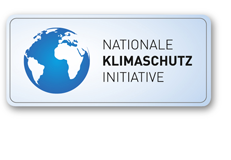 – that assess climate policy measures in terms of emission reductions, synthesized in policy scenario studies. These bottom-up models present a good starting point for assessing costs and benefits of climate policy measures. The module to be developed will complement existing models in that it provides the “big picture” in a macroeconomic sense. 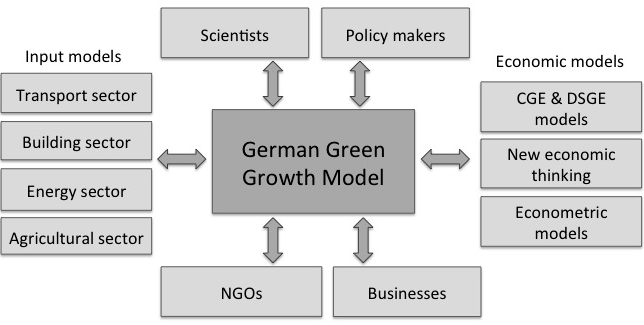 The German Green Growth module is built as a multi-agent model in order to enable a representation of several growth paths. 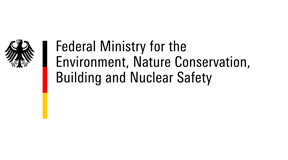 Further, it will be an open source tool, available on the Internet, and will therefore deliver a level of transparency that is not usual in the field of climate policy modeling. The module development will be embedded in an on-going stakeholder dialogue: a series of workshops and conferences shall guarantee a regular exchange with experts on the sectoral models, representatives of new economic thinking and potential model users. Such an exchange can ensure that the module will really be related to the existing models, that new impulses can be integrated into the module development, and that the module will be adapted to the users’ needs. Our work aims to connect the rather disjoint debates on new economic thinking and climate or energy policy. The transformation of the German energy system (Energiewende), the challenges of sustainable development and the Eurozone crisis are as yet discussed independently from each other. However, there are synergies to be reaped by relating the topics: Europe can grow out of the crisis, and rebuilding the energy system can be a source of growth. For example, an expansion of power grids for renewable energies is a double opportunity: to redefine the European identity from a common tasks perspective, and to trigger investments badly needed to embark on a new growth path. In this perspective, we see the possibility of green growth as an exit strategy out of the crisis.